We've talked about how to be clear about your intent when you practice, and how to organize your practice time. Now let's talk about practice layers. How do you like them layers? 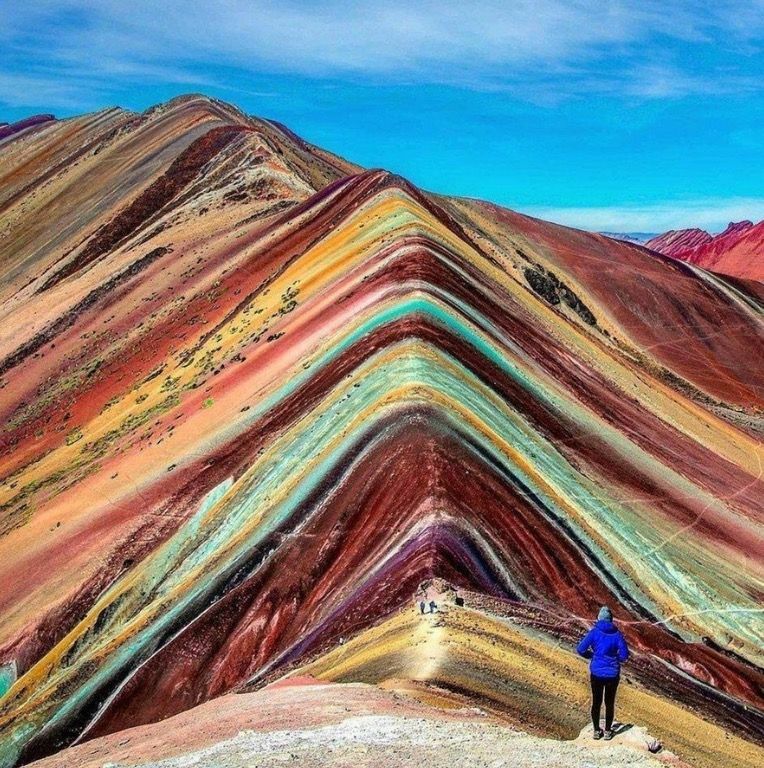 This is Peru's Rainbow Mountain....takes lots of layers to make this magnificence! The art of making music has many layers. And like a cube, our practicing needs to have depth, have breadth, have form. Our practicing needs an inquiry into the emotional, intellectual, and physical processes that occur when we play. I think we are ALL guilty of over-development, over-extension, of one of these. My own tendency is to EITHER over-emotionalize, playing over and over, getting lost in the sounds and the story and doing no technical/analytic work. OR I am overly-obsessed with mastering a technical passage out of context, without seeing the bigger harmonic motion or planning the sound. So either I get lost in the forest or I can't see the forest through the trees. Either way leads to a lot of repetition WITHOUT a lot of tangible results. Charming, isn't it? When I focus all my practicing on one process, the outcome is not balanced. It's as if I've over-developed my biceps while neglecting my triceps. And even though I've "worked-out" (ie put in all the practice hours) I still can't lift the dumbbell or do a chin-up (ie perform well) because the two muscle groups are not balanced. I have gaps in my understanding, and I'm not building a well-rounded foundation. A well-rounded foundation means that we can perform from a place of balance rather than an over-dependence on one channel. We can be more centered, and if one modality leaves us (ie we get nervous and we're kinesthetically disoriented), we know we can still make it because the other 2 are strong. I believe the key to success is finding a way to address, solidify, and balance ALL of these processes while we practice. Break it down, and address one area at a time. For example, here are some questions you can ask yourself. Physically: Is this comfortable? Is it easy? How can I make it easier? Emotionally: Am I enjoying the sounds I make? Do I feel good about my progress right now? Intellectually: Do I see how everything fits together? Does this piece make sense to me? Do I understand the harmonies/phrasing/note groups? And here is the glorious thing about music.......THE COMPONENTS GENERATE EACH OTHER. What feels like physical discomfort may be a unclear sense of harmonic/melodic direction. If your brain isn't sure where to go next, it manifests as physical tension in your body. If your phrases don't make sense to you, it could be that your physical gesture is not precise. Maybe you're grouping 4 notes together when it's really actually 2 or 3. If you don't like your sound, perhaps you don't have a clear sound conception, and so your arm weight isn't focused or poised appropriately. (Apologies to other instruments for this piano terminology). I absolutely love this process....because while some solutions are obvious, others are not what they seem. And when we ask these questions we begin a life-long journey into the deep unfolding of our own layers, our own internal depth, breadth, and form. When we practice, music is also transforming our thinking, our emotions, our coordination.....one layer at a time. Talk to me and comment below! Would love to hear if you find these helpful. Enjoy your day!